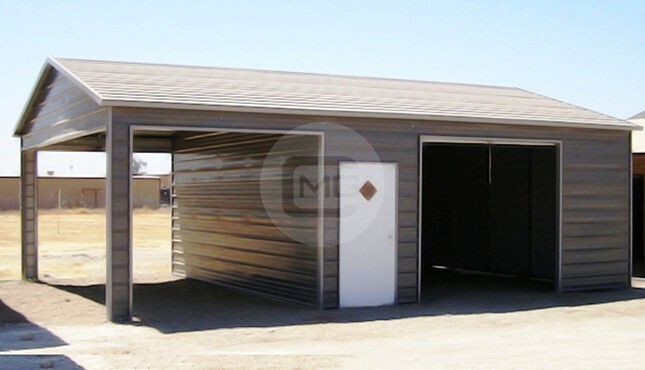 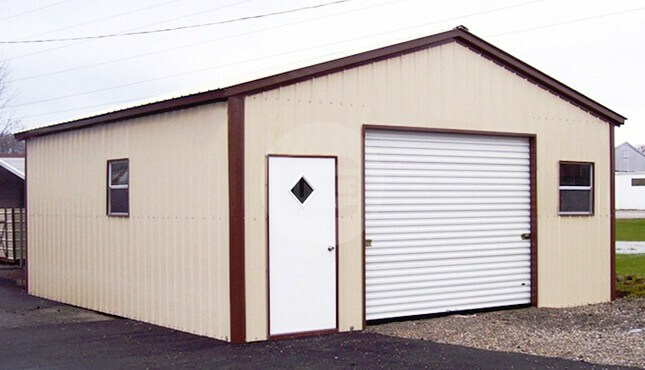 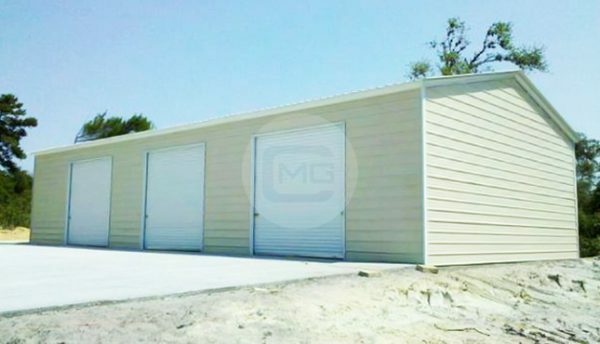 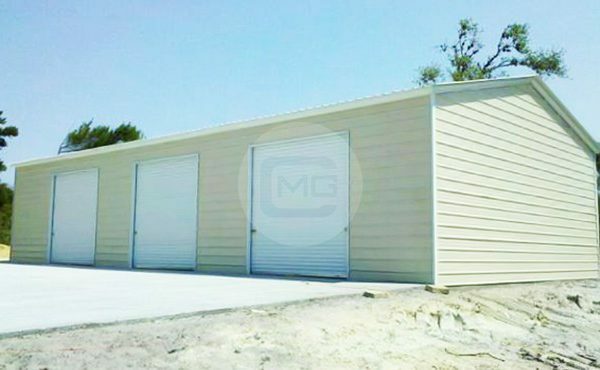 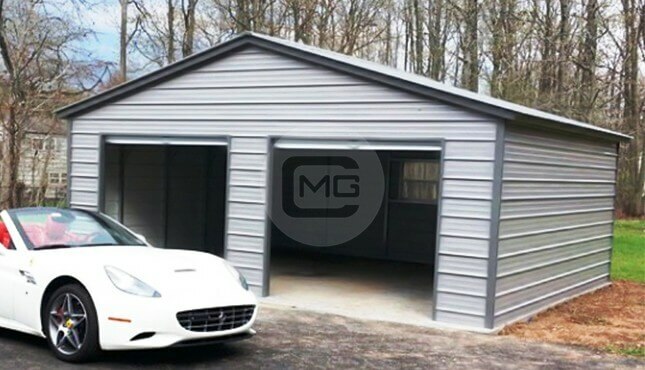 The ultimate in vehicle storage, this 22x41x10′ metal garage includes three 8×8 roll up doors on one side of the structure. 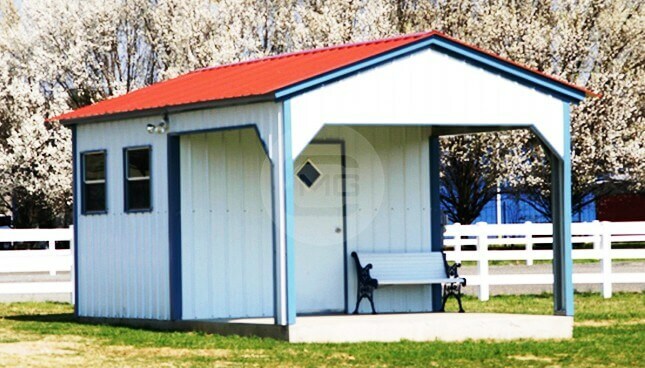 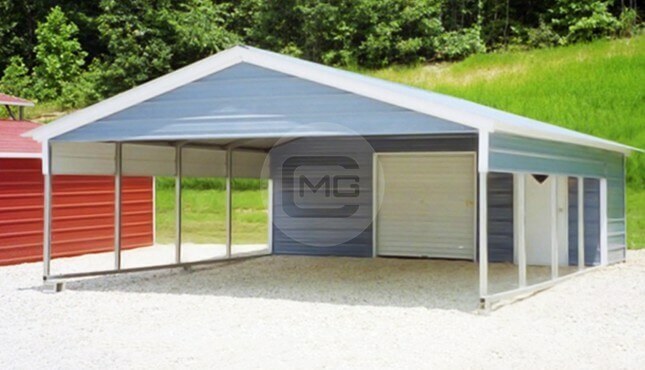 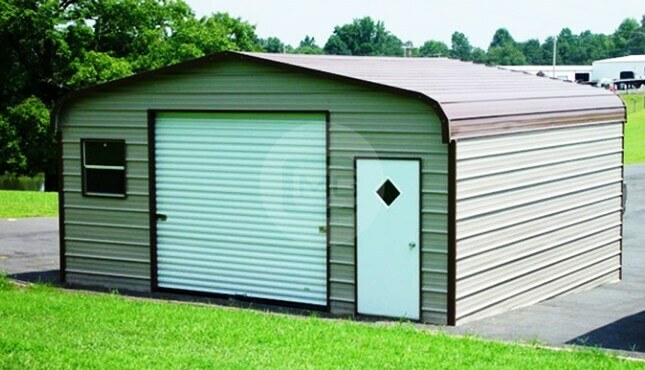 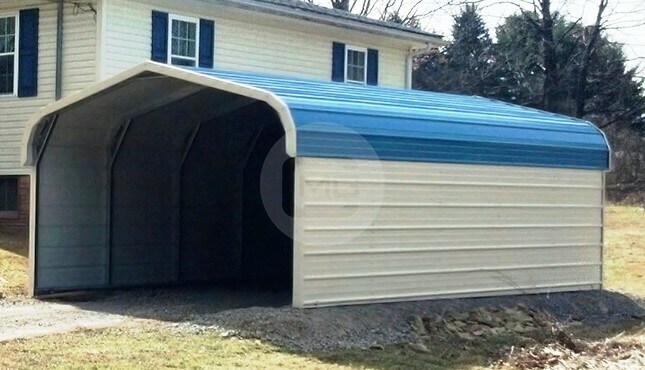 This durable 14-gauge steel vertical roof garage has horizontal side panels and a vertical roof style so it can easily stand up to the elements no matter where you live while keeping your vehicles, equipment, and other items protected. 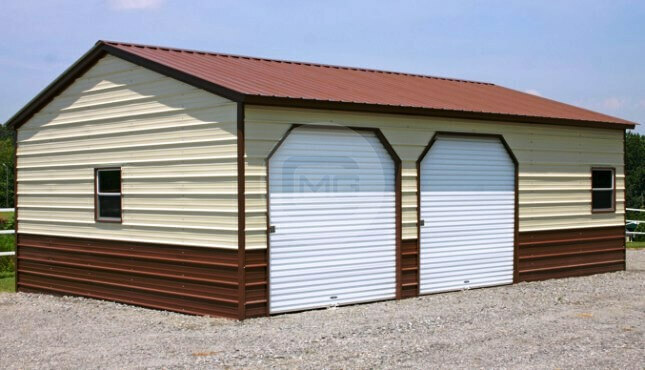 One year workmanship warranty, 10 year panel warranty (chipping and cracking only), and 20 year rust through war-ranty on both the 12 gauge and 14 gauge frames.